We went to Dallas last weekend to hang with friends and family. On Sunday, Clay took Lo to the Kimbell Art Museum to see the Picasso and Braque exhibit. 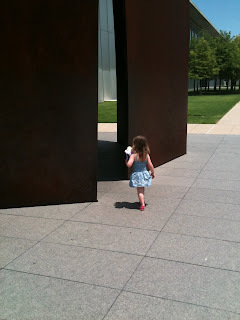 Lola absolutely loved it and had strong opinions on which pieces of art she preferred. 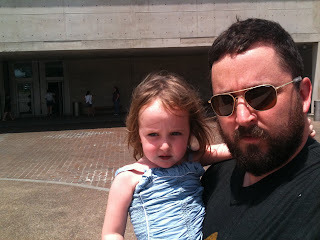 I'm not surprised as this child has strong opinions on everything these days! Here are some pics from their visit. Lola loved the sculptures. 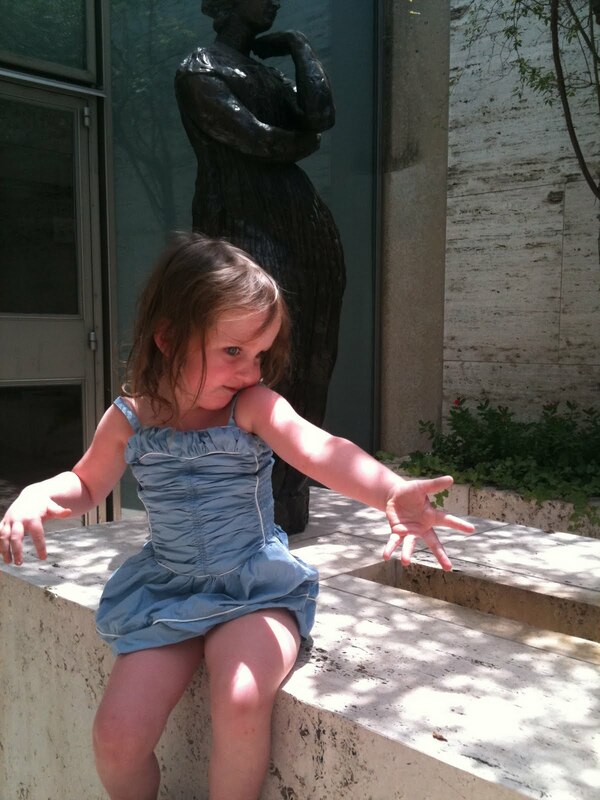 I'm not quite sure what this pose is she's busting out with?!?!?! 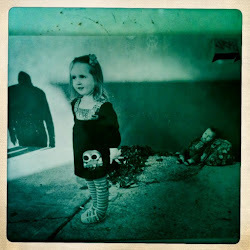 Absolutely love the simplicity of these photos. 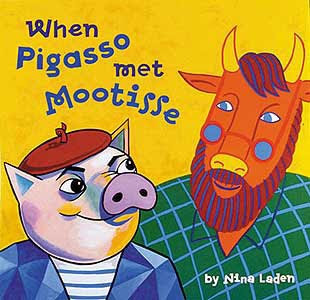 The museum visit and Picasso exhibit was perfect timing as Lo's favorite book right now is When Pigasso met Mootisse. Since grabbing this book at my fave book store Book People, Lola and Clay have also been looking at one of his Picasso books every evening and talking about the pieces in great detail. 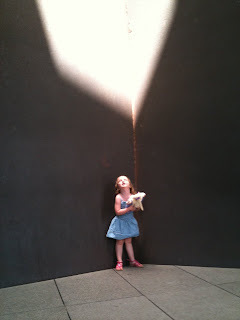 This little girl really seems to love art which is great. I hope it sticks with her! It's all about the Texas tuxedo! The bane of my existence AGAIN!